Offenes Lerncafe - Open German Language Workshop 2018. 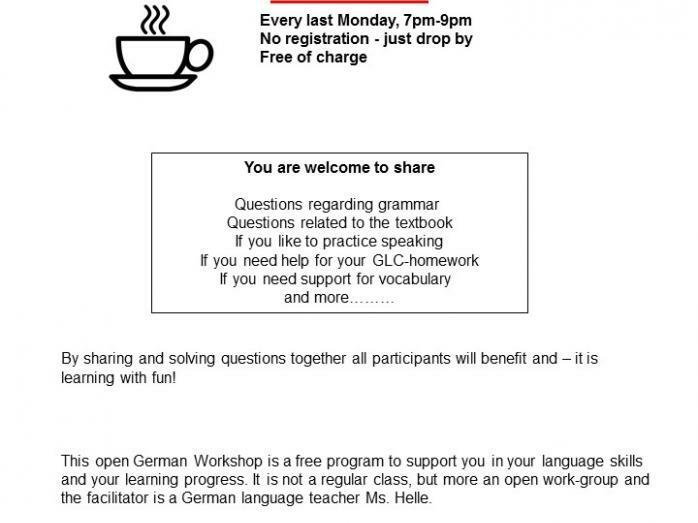 This open German Workshop is a free program to support you in your language skills and your learning progress. It is not a regular class, but more an open work-group and the facilitator is a German language teacher Ms. Helle. By sharing and solving questions together all participants will benefit and – it is learning with fun! For registered students GLC only and open for all levels. No registration - just drop by!